William B.R. Hobbs joined High Road in 2007 and serves on the Board of Directors of BlueSpire, Guidemark, and Advanced Sleep Medicine Services, and previously served on the Board of Directors of Milwaukee Gear, Accentus, All Current Electrical Sales, All Integrated Solutions, Handi Quilter, and The Crown Group. 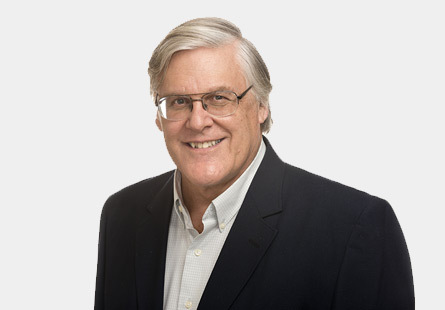 Bill is responsible for working with portfolio management teams to formulate and implement value creation initiatives, acquire and integrate add-on acquisitions with the goal of achieving operational excellence. Bill has worked in the past as CEO, chairman, and director of portfolio companies for several private equity firms. He has served in president and CEO roles in diverse industries such as construction equipment, steel processing, industrial distribution, plastic and metal manufacturing, direct mail catalog and Internet retailing. He has worked in companies ranging in size from $50 million to $1 billion in revenue with responsibility for operations in over 20 countries worldwide. Bill received a B.A. in Applied Mathematics from Harvard University in 1971 and an M.B.A. from Harvard Business School in 1975.